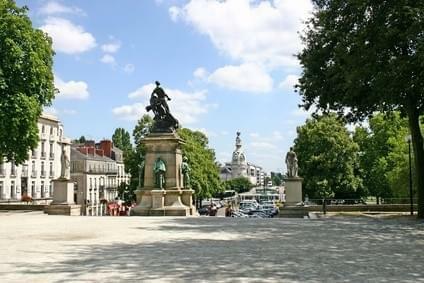 The city of Nantes is a great city full of students and young people wanting to party. We established, for you, for them, a top 5 best places to party in this beautiful city of Nantes. This is probably the key location where to party in Nantes. The atmosphere is crazy, the DJ listens to client needs as he spends the music of the 90s to the present. You will be greeted and served by a smiling, friendly and competent. Do not hesitate to make the HQ of all your wildest parties! This night time box with those rather general and populated sores since it proposes instead of oriented rock music. But not only ! Since you will be surprised music rocks spend a few songs and even electro groove or soul. Anyway: customers are warm there, present only to party: the good spirit there is required . This nightclub is particularly popular due to its particularly festive atmosphere and its many theme nights are organized. The music is rather general and programming is amazing since it provides some great DJs to world fame. This nightclub seduces with its three bars, a VIP area, giant screens, vast terrace and three bars. The decor is class, rapid and general music service to please everyone. This is a must nightclub in the Nantes region. Music is general but also oriented House, HipHop, Electro and its area of ​​almost 3500m2 offers a pleasant space for all customers who wish to spend an unforgettable evening.